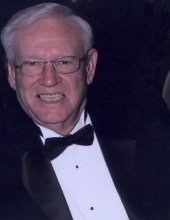 Celebrating the life of Walter G. Williams, Jr.
Obituary for Walter G. Williams, Jr.
Walter G. Williams Jr. (Storm), 86, of Danville passed away with peace and grace on Sunday, March 31, 2019. In addition to his parents, Emma and Walter, Sr., Walter was preceded in death by two infant sons; Bradford and Christopher, and each of his six sisters; Bobbie, Dot, Juanita, Tee, Toni, and Virginia and each of his four brothers; Charlie, Herbert, James Woodrow (J.W. ), and John. Walter was a member of the Hillcrest Baptist Church. Walter is survived by his wife of over 67 years, Margaret Jean Jones Williams of Danville, VA and two sons, Dennis Williams and wife Roxanna of Midlothian, VA and Gary Williams and wife Gina, of Kernersville, NC; and granddaughter Dr. Katherine Williams of New York City. Walter’s interests varied but were mostly focused in the outdoors. In early and mid-adulthood, he loved to quail hunt with his prized bird dogs and each fall would deer hunt in the Blue Ridge Mountains. He also enjoyed family camping trips. In his elderly years, Walter’s interests turned more to restoring antique Willys Jeepsters, bee keeping and gardening. Perhaps Walter’s greatest passion in life was working. Yes. his employment! Walter began working for Goodyear Tire and Rubber Company in 1967 and retired in 1995. While at Goodyear, Walter routinely worked 7 days a week including working as many holidays as he could. He would, however, take his vacation time. In 1981, Walter received the largest cash award for an employee idea in Goodyear’s history. The award was presented to Walter by Goodyear’s Chairman of the Board from Akron, OH. The idea (an energy savings device) was installed in the Danville plant and subsequently placed in Goodyear plants throughout the world. The event was covered by local Virginia news teams including newspaper, tv and radio. The family would like to thank friends, family, and neighbors for the prayers, food, visits and all that was done for Walter. A special thanks go to all of Walter’s caregivers and professional health staff for assisting him through the last several years, in particular Donna Holley, Chris Barley and Brittany Edmunds who provided assistance into his final days. The family will receive friends and loved ones on Friday, April 5, 2019 from 11:00 AM to 12:45 PM at Norris Funeral Home, 511 Church Ave., Danville, VA., with a celebration of life and funeral service to follow at 1:00 pm in the Funeral Home’s Chapel. Interment will immediately follow the funeral service at Danville Memorial Gardens, also located on Church Street. In lieu of memorials including flowers and donations to charities, the family asks that you consider reaching out to a family member or close friend that hasn’t heard from you in a while and treat them to a meal and spend some heartfelt time with them to rekindle the relationship. On-line condolences and tributes may be made at www.norrisfuneral.com. To send flowers or a remembrance gift to the family of Walter G. Williams, Jr., please visit our Tribute Store. "Email Address" would like to share the life celebration of Walter G. Williams, Jr.. Click on the "link" to go to share a favorite memory or leave a condolence message for the family.